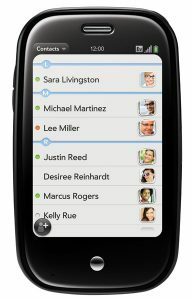 I really liked the dialer on my Windows Mobile slider phone because I could look up and call contacts without using the keyboard. Unfortunately, I pretty much have to use the keyboard when calling because the amount of contacts makes it unrealistic for finding them using flicks (unless it was someone that I recently called). The dialer is also very simplistic. GPS signal issues in Sprint Navigation – Weird, why won’t you fix it? The Sprint Navigation software is pretty good. I have used it a lot, but there have been times when it couldn’t get the GPS signal. Searching through Pre Central I see that I am not the only one. I have found out that calling ##GPS# (or ##477#) and getting a signal through it generally resolves this issue. Here is a full review of Sprint Navigation by a Pre user if you are interested. Obviously, the list of applications is not even close to that you will find for Windows Mobile or iPhone, but the community is catching up. I have found applications for all of my needs. Interestingly, I had started working on an application for myself for fun and found out that a similar application showed up before I had completed my version. Over the past month browsing through the homebrew forums on Pre Central I have seen a very active development community. As of this writing there are 204 applications in the homebrew repository on Pre Central. Also, new applications, from independent developers and applications graduating from the homebrew scene, are appearing in the Palm App Catalog almost every week now. Given what I know so far about webOS and the released SDK I am doubtful that you will see any games as extensive as the ones for iPhone (like Assassin’s Creed for the iPhone!) or possibly Windows Mobile, but you can expect many simpler games. I love the notifications on the Pre. They are generally out of your way so you can continue doing other things, but are available with a single tap when you need them. I am a human and I make mistakes, but, unfortunately, the Pre isn’t generous enough to undo them. There have been several times when I wished that the Pre had the ability to undo. The first few days I wanted it even more as I was playing around and discovering the device, e.g. cutting or copying. 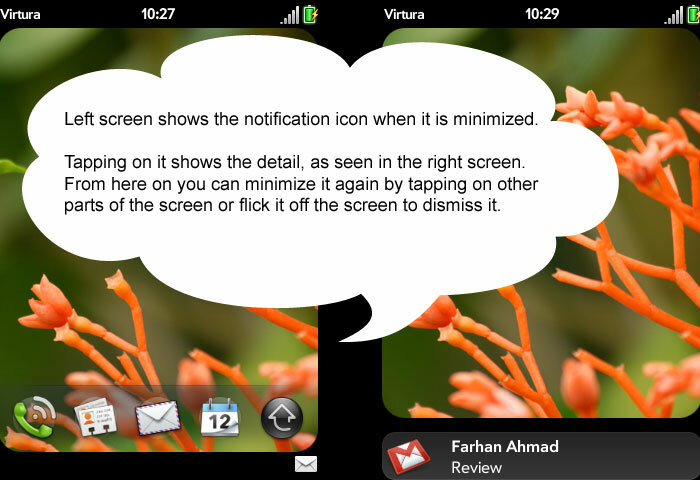 One thing that I hope Palm will change is give applications a bit more control based on user’s approval. I would like to write a better dialer, but the application restrictions don’t give permissions for accessing user’s complete contact list. I can see the reason for Palm’s initial decision, but I am hoping that they will revise this restriction as the operating system matures over the coming months.